I can't make this stuff up. 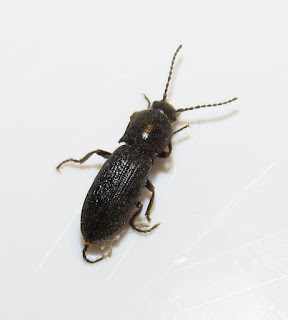 Here I am just walking my neighborhood for exercise yesterday, as I try to do on a daily basis, and limping across the sidewalk comes a little (6-7 mm) click beetle. I put it in a vial, bring it home, and take a couple of pictures. Because I am curious, and I know that "bug folks" on Facebook are starved for stimuli during the winter, I post the images in a beetle group. How should I know that would be genuinely exciting? My first stop online was the "Friends of Coleoptera [beetles] at the Natural History Museum" group on Facebook. 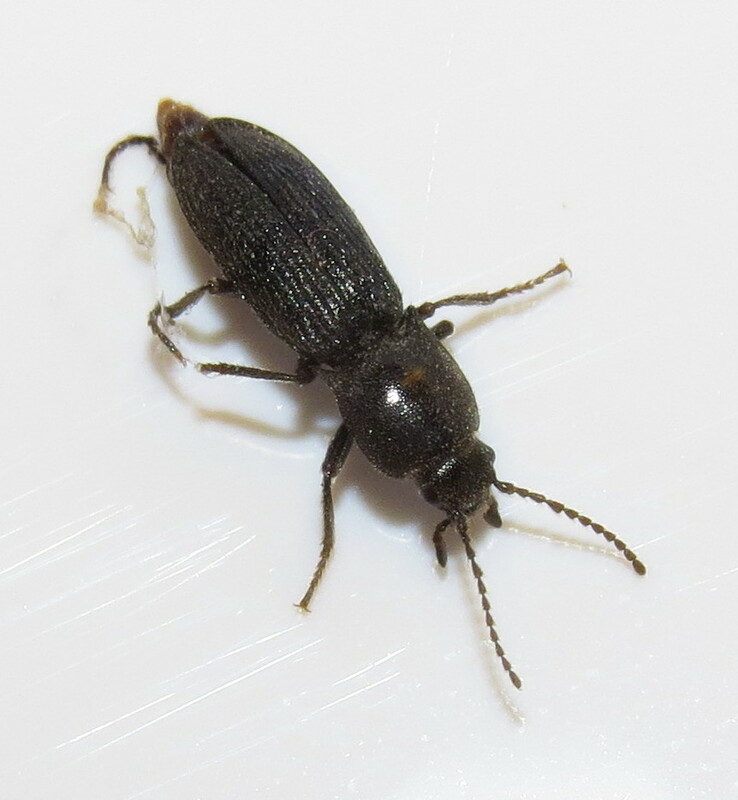 The group is hosted by curators at the Natural History Museum in London, England, but beetle experts from all over the world are members of the group and always willing to help with identifications. "Anthracopteryx hiemalis. Super-nice find! This is a native winter-active species in a monobasic genus. It is endemic from Laramie south to Westcliffe in the Front Ranges. Never collected it myself." I certainly did not expect to get a species identification, but I took that and went over to Bugguide.net, the foremost online repository of images of North American insects, spiders, and other arthropods, to add my two images. Well, there weren't any others. There was not a species page to put them on. There was not even a page for the genus. Fortunately, I have volunteer editorial privileges, and so I was able to erect the appropriate pages and then put the pictures up. That kind of thing does not happen very often any more. Bugguide is damn comprehensive. The lesson I learned, and should have learned long ago, actually, is that when it comes to entomology, you can never assume anything. You can never figure that what you observe and record has no significance. Sure, most of the time it won't be earth-shaking in any way. Then, one day when you don't bother making something public, you will be depriving the scientific community of something truly remarkable. If anyone ever chastises you for sharing an observation of some "common" critter that you personally were unfamiliar with, then the shame is on them. We can all recall learning about a given organism for the first time, and how exciting that was. Scientists have no right to insult anyone for making an effort to learn, contribute, and otherwise share. Thankfully, there are few scholars that arrogant and disrespectful. So, get out there on warm winter days and start looking for stuff! There are, no doubt, whole communities of winter-active organisms that we are overlooking. 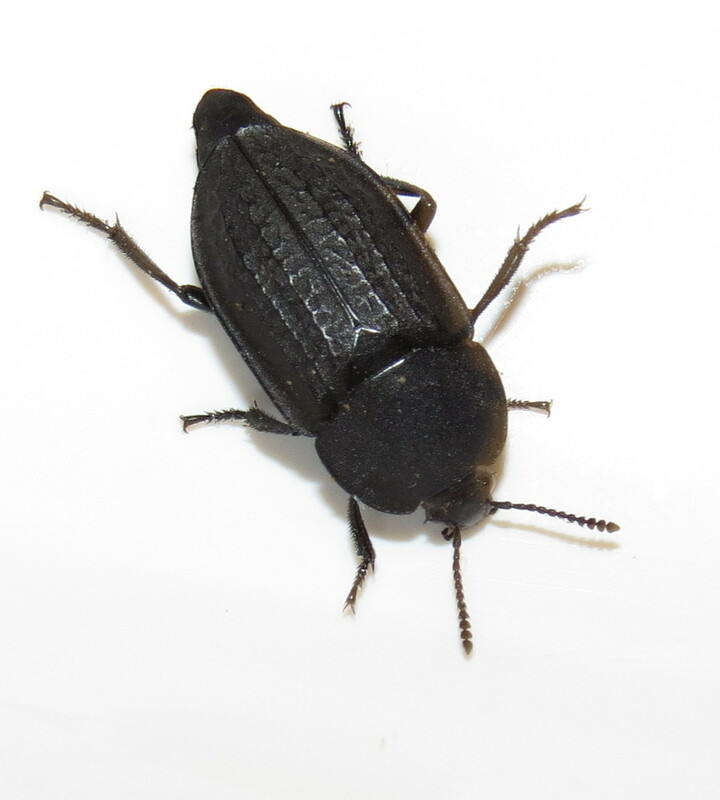 A Carrion Beetle That Isn't? At first glance, the Garden Carrion Beetle, Heterosilpha ramosa, could be mistaken for a darkling beetle or ground beetle. Indeed, only the clubbed antennae, and the five tarsal segments comprising each "foot," betray them as something else (darkling beetles have only four segments in the tarsus of the hind leg). Carrion beetles make up the family Silphidae, but surprisingly, this particular species seems to have a diet of anything but corpses. 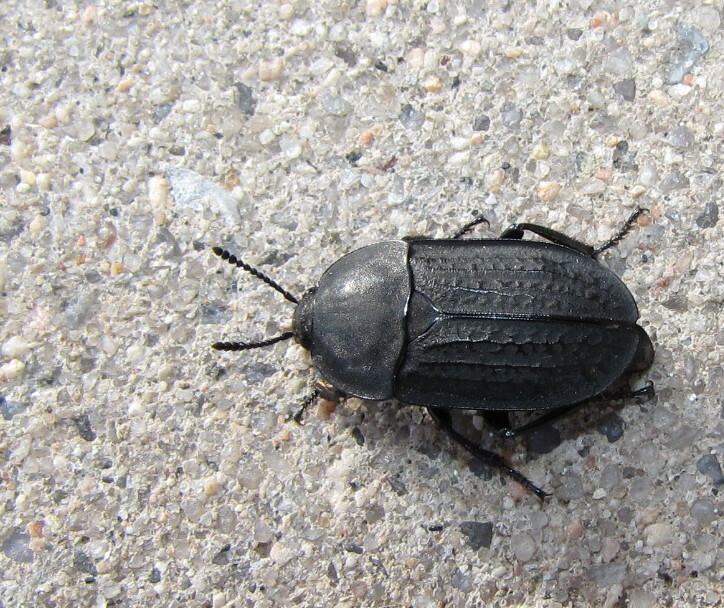 I periodically encounter the 11-17 millimeter long, dull black adult beetles crossing the sidewalk in my Colorado Springs neighborhood. 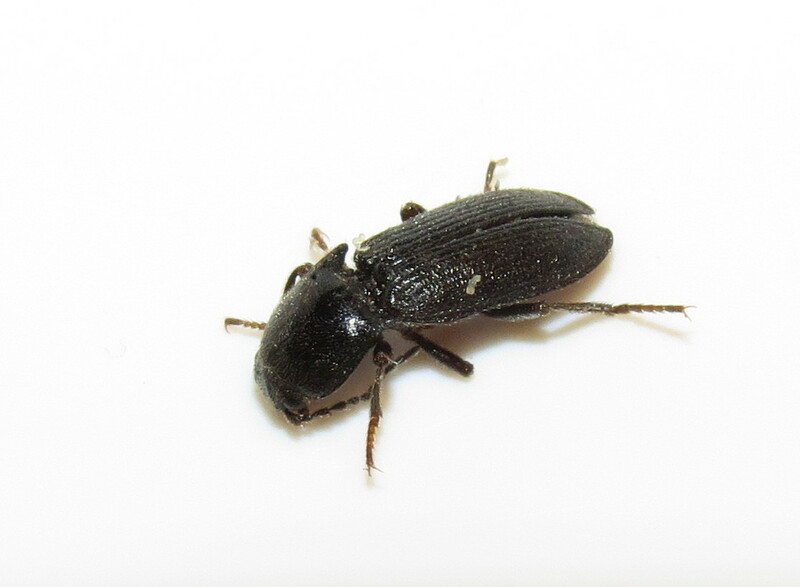 The natural habitat here is shortgrass prairie, but I knew this beetle when I lived in the coniferous forests of Portland and Corvallis, Oregon, too. It occurs mostly west of the Rockies and south to Mexico, but ranges east and north as far as Iowa, Minnesota, and Ontario, Canada. Consulting various references paints and interesting and evolving picture of H. ramosa. 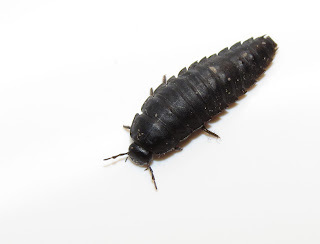 Older references used the genus name Silpha, but it is the portrayal of the species as at least an occasional pest that is puzzling. Essig declares that the Garden Carrion Beetle feeds mostly on decaying vegetable matter, but "also attacks garden and field crops, grasses, and weeds. If often occurs on lawns." Presumably it consumes these foods as both an adult and a larva. 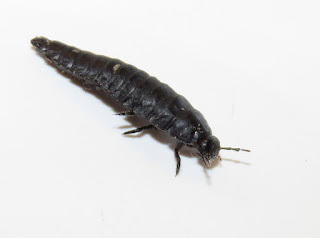 The larva is jet black, highly mobile, and resembles an overgrown carpet or hide beetle larva (family Dermestidae, especially genus Dermestes). The tapered body allows the larva to slither effortlessly into cracks and crevices, or easily slip out of a predator's grasp. The speed at which it can travel is rather surprising considering the relatively short legs at the front of the body. 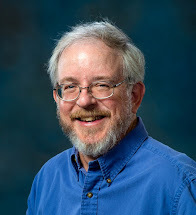 A more contemporary book by Jerry Powell and Charles Hogue asserts that the "Garden Silphid" adults and larvae "are general feeders, consuming living or dead, soft-bodied insects such as maggots, which feed on decaying organic matter in the soil; Silpha sometimes feed on leaves of plants at night." Arthur V. Evans and James Hogue illuminate the natural history of this species a bit more in the most recent reference I could find in my library. According to their Field Guide to Beetles of California, "The adult is active March through October....overwinters and becomes active the following spring. Eggs ar laid in the soil around a carcass or rotting vegetable matter and take approximately five days to hatch.....The larval stage lasts approximately two to three weeks. The pupal stage lasts 8-9 days." 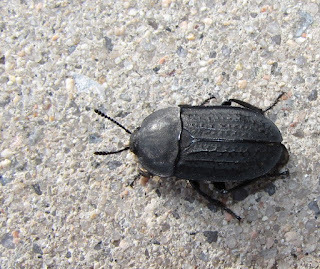 The authors go on to recite the previous conclusion that both the adult beetles and the larvae are "general feeders." The evolution of our understanding of the impact of H. ramosa comes full circle, from minor crop pest to beneficial organism in the rest of Hogue and Evans' life history sketch: "The adult has been found feeding on dead Devastating Grasshoppers (Melanoplus devastator) and Brown Garden Snails (Helix asper)." 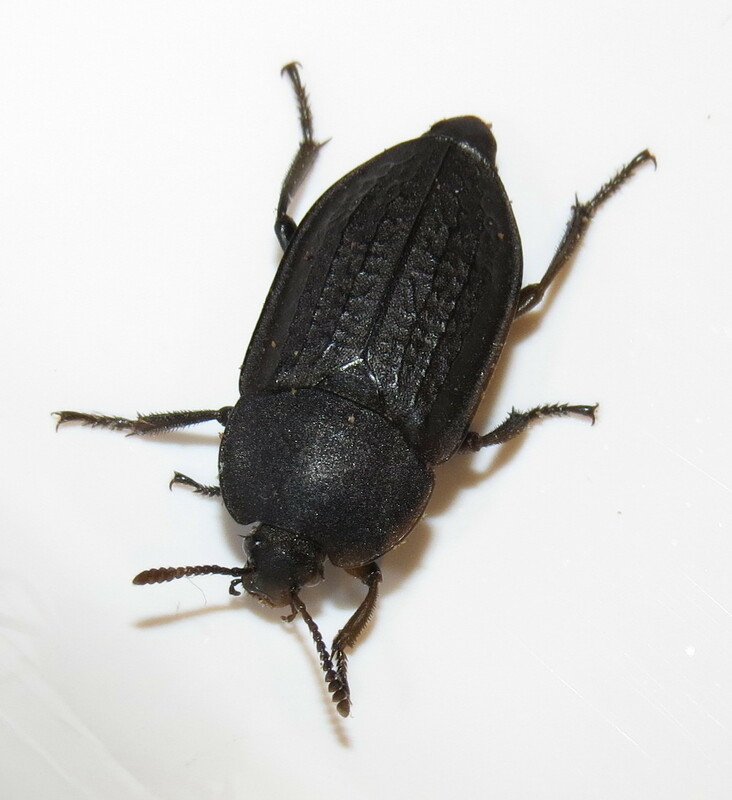 Ok, so it is scavenging, but considering the predatory nature of other carrion beetles, it would be no surprise to find it killing injured or otherwise incapacitated pest invertebrates, too. What else do we not know about this species, or any other insect for that matter? The answer is "plenty." Insects which are not perceived to be of economic importance, either positively or negatively, tend to be under-researched, to put it mildly. Outright ignored is perhaps an even better way to frame it. Pick a "bug," any bug, to study, and chances are you can be something of a hero. Sources: Essig, E.O. 1958. 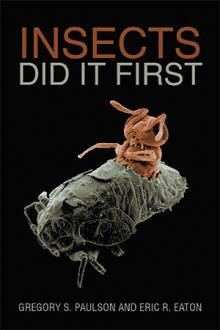 Insects and Mites of Western North America. New York: The Macmillan Company. 1050 pp. Evans, Arthur V. and James N. Hogue. 2006. Field Guide to Beetles of California. Berkeley: University of California Press. 355 pp. Powell, Jerry A. and Charles L. Hogue. 1979. California Insects. Berkeley: University of California Press. 388 pp. White, Richard E. 1983. 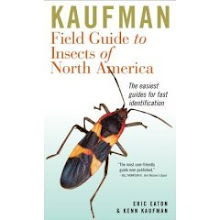 A Field Guide to the Beetles of North America. Boston: Houghton Mifflin Company. 368 pp.